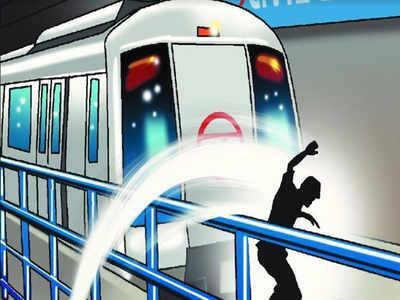 New Delhi, April 15: An elderly man suffered critical injuries after he tried to kill himself by jumping before a Delhi Metro train in Dwarka Sector 7, police said on Monday. "The victim, identified as Surender, 70, is a resident of Dwarka. He left his house to visit Hanuman temple," Delhi Police spokesperson Anil Mittal said. A retired Section Officer, Surender was admitted to a hospital. "We are trying to find out the reason for attempted to suicide as he is presently unconscious," the officer added.